As we mentioned in our previous post 5 Tips for Flying Your Drone Safely, one of the most important things you can have as a drone pilot is a checklist, either mental or physical, which you can step through before every flight so you can be confident your gear is fully prepped and you won't face any unexpected problems once you are in the air. Here are the nine steps we go through every time, to get that perfect aerial shot. The first thing you need to do is get all of the gear you need out of the case and have it in front of you. Drone body, propellers, battery, controller, tablet/phone and connecting cable. Take the time to look carefully at each piece as you pull it out and check for physical wear. Are there any chips on the propellers? is the connector starting to come off the end of your cable? If you have forgotten any of these or they are damaged, you may not be flying today. The method for this varies between models. On the Phantom, press down and twist so the propeller clicks into place. On the Mavic and Spark, simply fold the arms out so they lock into position. Whichever method is required for your equipment, ensure all propellers are fully secure and will not come loose during flight. 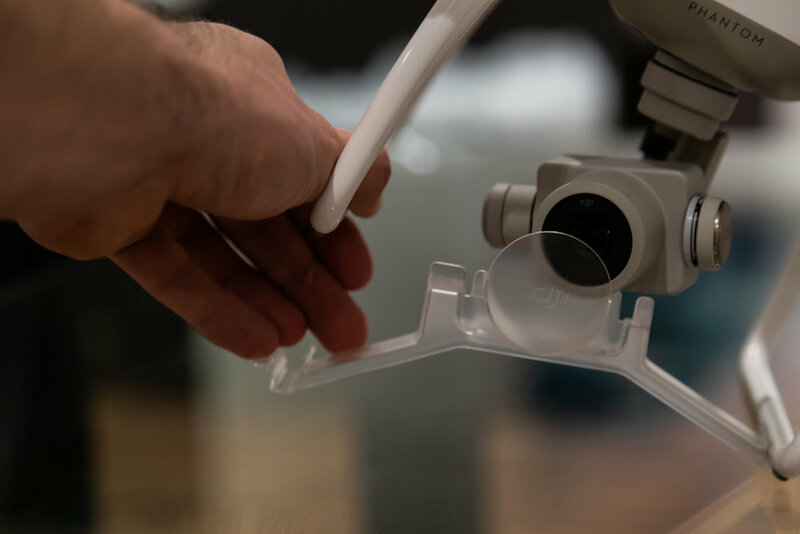 Detach and remove anything holding your gimbal secure for transport and ensure all parts of your drone have full and free movement. After this, you should be confident your drone is safe to fly. 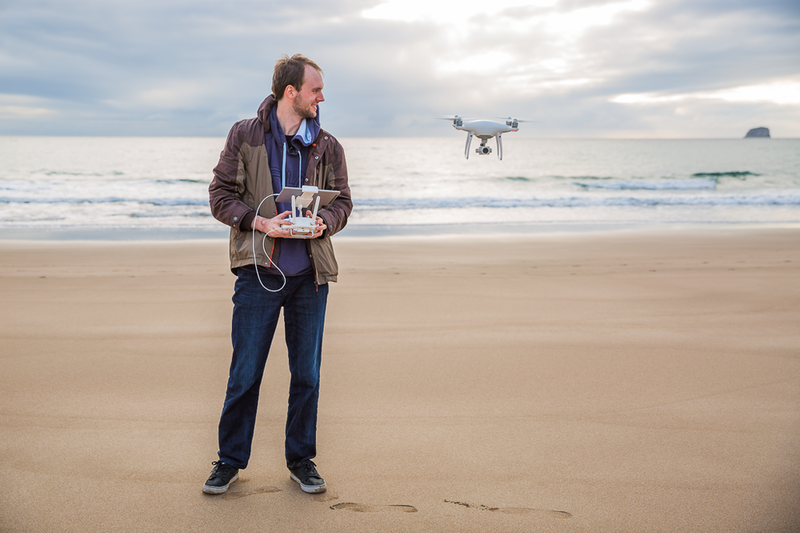 Before touching your drone, it is always safest to turn the remote on first. It is much better find out you have a malfunctioning remote with no drone to control than a malfunctioning drone with no remote to control it. Now that you know you will have control, you are ready to turn on your device and check it appears correctly on your app. Now is also a good time to check the preview image in your app and make sure it is properly exposed for the conditions you plan to fly in. As tempting as it can be to immediately hit take off as soon as everything is switched on, it is much better to wait for a full GPS connection rather than “ready to go VISION”. While the visual sensors can help keep you steady near the ground and when there is a solid point of reference nearby, they can lose accuracy as you get higher, which means you might find yourself with a drone suddenly floating away. Of course, depending on where you're flying, this may not always be possible. If you are flying indoors or from underneath a large structure, you may not have a clear line of sight to gain a GPS fix. In this case be prepared to work only with the vision sensors and have a plan for how to respond immediately should something go wrong. This may sound silly, but as a final step before takeoff, always have a final look up and be confident there are no obstacles in your path! It is all too easy to focus on what is in front of you or what you can see through the camera, but completely miss something above you like overhanging branches or even a set of power lines. You’re ready to go, time to get in the air and start flying! 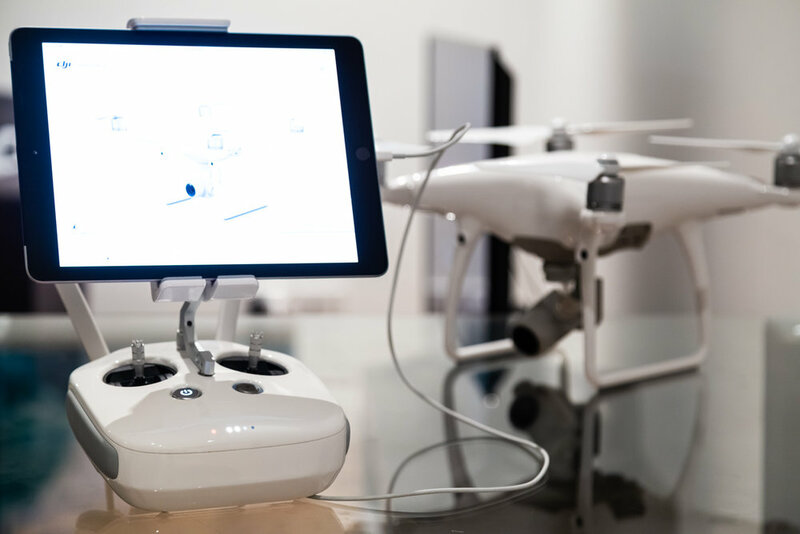 Remember throughout your flight to continuously keep an eye directly on where your drone is in the sky and what's around it, rather than just relying on your screen. Also, take note of your remaining flight time so you can always safely make it back to yourself with plenty of battery to spare. Do you have a checklist you follow or are there any extra steps you like to use? Let us know and help share your knowledge with others.